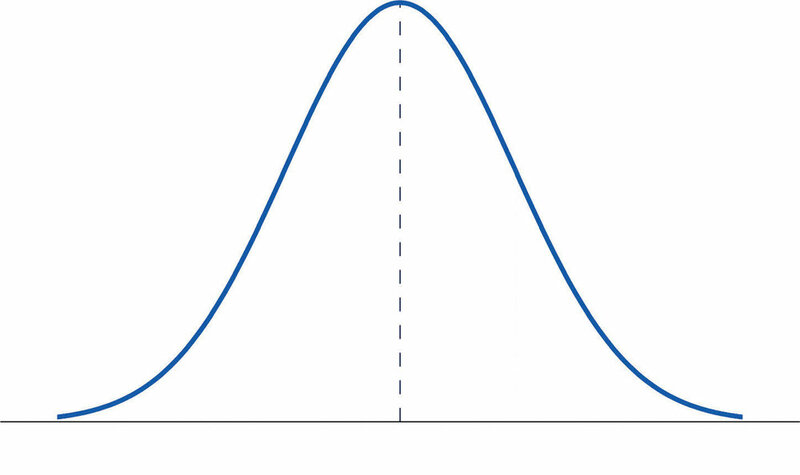 A normal distribution is a pattern that represents a bell shape. Optimize Hire Pre-Employment Test overall scores follow a normal distribution where most applicants score close to the average and fewer applicants score very high or very low. In the image above, the vertical dotted line represents the average overall score. Consider this video by Michael Stevens on the YouTube channel Dong that provides an extremely helpful overview of how normal distribution works.